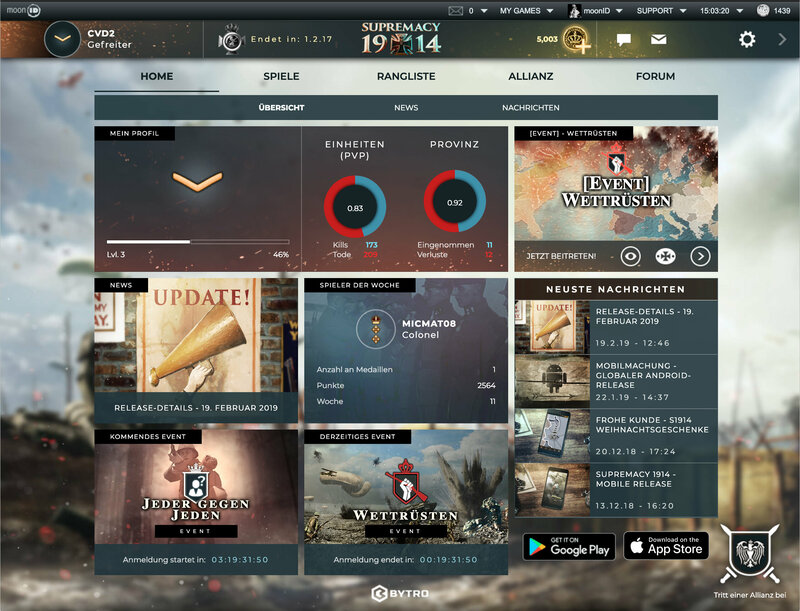 Relaunched with new technology and look: in Supremacy 1914, you take over the reins in one of more than 30 countries at the time of World War I. Smart strategy and skillful diplomacy are necessary in order to defeat your opponents. 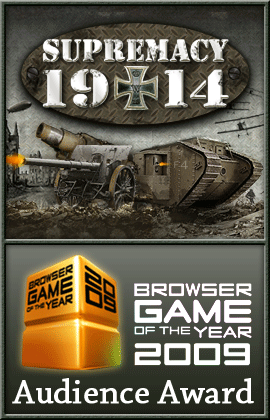 Join more than 1.5 million others in playing the 2009 Browser Game of the Year. Choose a nation and and play against players from all over the world as well as against intelligent AI opponents. On realistic maps from 1914, you command many different types of units on land, at sea and in the air. Build a working infrastructure and form powerful alliances. It’s the only way to victory! Assign spies to infiltrate your opponents (or your allies). Gain prestige by receiving awards for exceptional achievements and rise to the top of the ranking. An obsession with power and the hunger for resources have brought the continent to the edge of self-destruction. 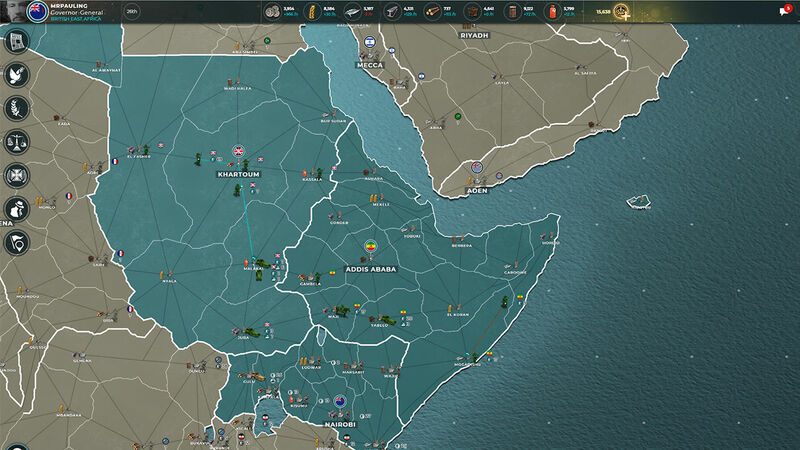 Form powerful alliances, build your economy, and prepare your nation for war. 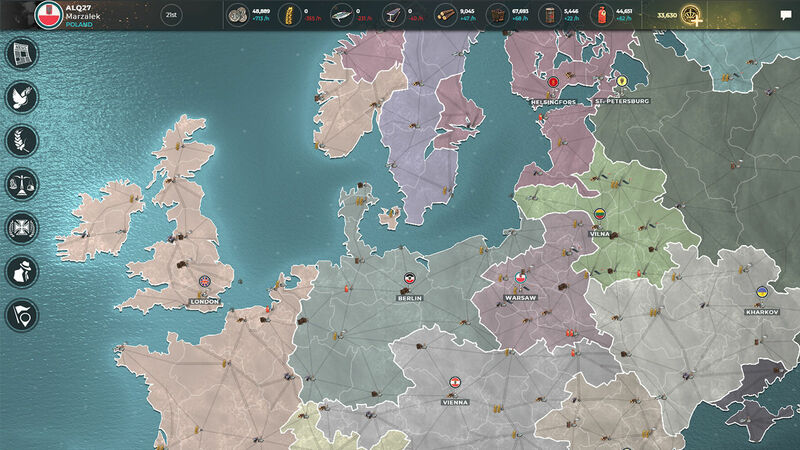 Lead your men into battle and become the ruler of Europe. 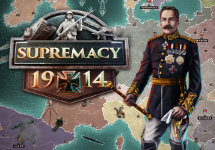 In Supremacy 1914, the player takes the reins in one of more than 30 countries at the time of World War I. Intelligent strategies and skillful diplomacy are needed in order to defeat all opponents. Units move in real-time on a historical map. 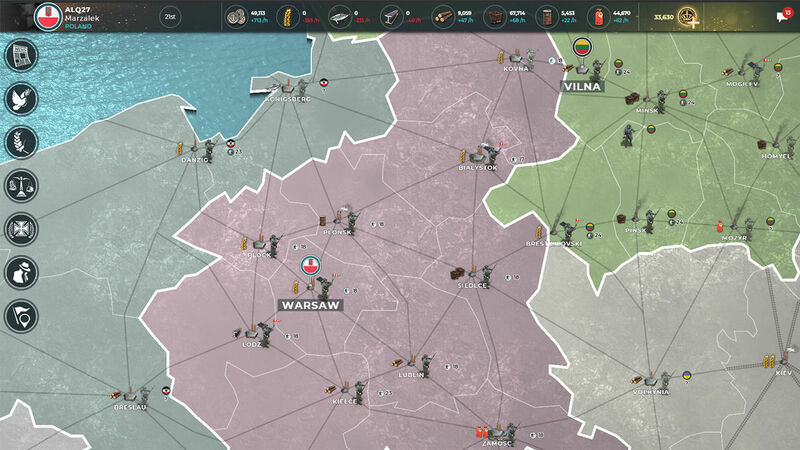 Along with intelligent AI, the most important features are upgrading provinces, diplomacy and a unique spy mode as well as elaborate resource trading. 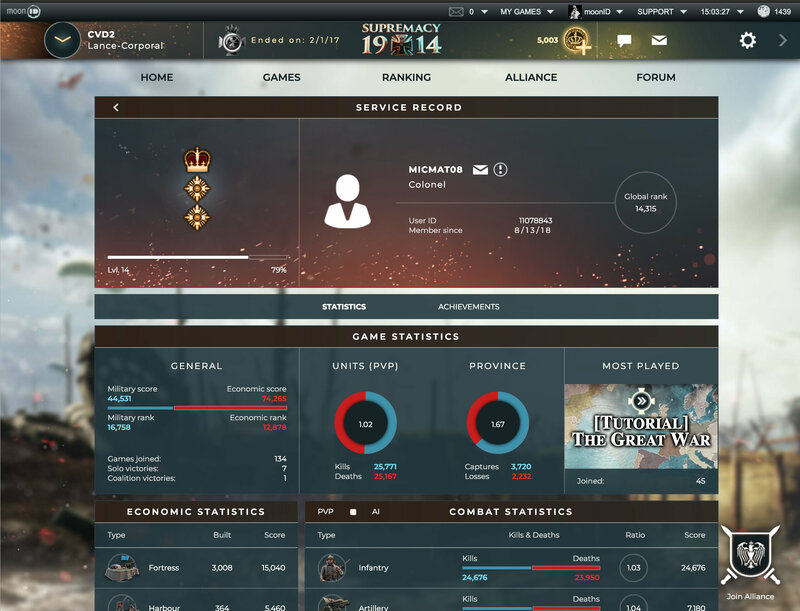 Through exceptional efforts, the player can also earn awards and rise to the top in the global ranking. 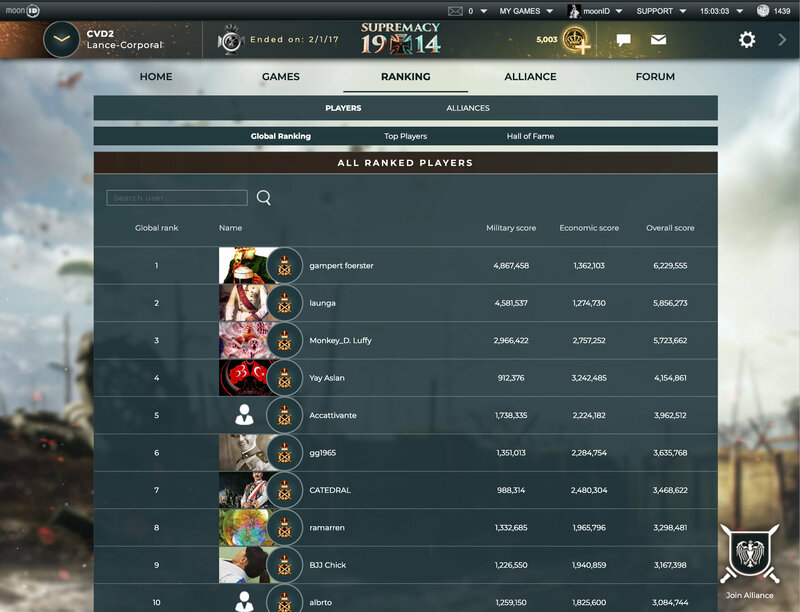 The Browser Game of the Year 2009 is played by more than 1.5 Million players worldwide, who play in more than 10,000 parallel games on four different maps.